Worried about the lack of familiar on-Premise administrative utilities like MaxL and LCM on Oracle Cloud? Don' be - EPM Automate is here and is easy to use. EPM Automate is the command line utility that allows you to remotely perform and automate administrative tasks for your Oracle Cloud instance. It can perform administrative tasks like importing and exporting metadata and data, refreshing and clearing cubes etc. 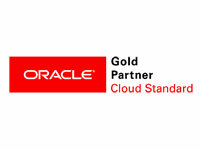 It is supported by ARCS (Oracle Account Reconciliation Cloud Service), EPBCS (Oracle Enterprise Planning and Budgeting Cloud Service), FCCS (Oracle Financial Consolidation and Close Cloud Service) , PBCS (Oracle Planning and Budgeting Cloud Service), PCMCS (Oracle Profitability and Cost Management Cloud Service) and TRCS (Oracle Tax Reporting Cloud Service) applications. To glance at the EPM Automate commands and the applications they are supported by see - https://docs.oracle.com/cloud/latest/epm-common/CEPMA/epm_automate_commands_at_glance.htm#CEPMA-GUID-94283F9F-9F78-406E-8507-00D27ECB2F82 or contact us at MindStream Analytics to learn more. Want to know more about Automating Oracle Cloud Admin Tasks? Please complete the form below and we'll get back to you shortly.